This picture shows the early stages of the battle of Loos (September 1915). 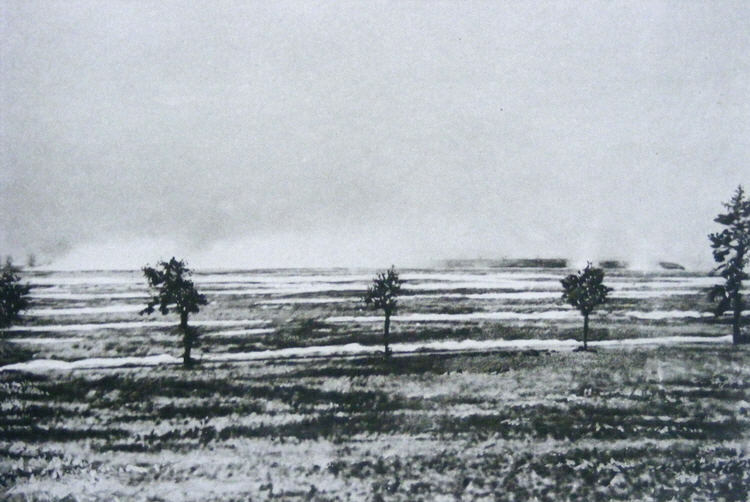 On the left clouds of poisoned gas are drifting across the battlefield, while on the right the Hohenzollern Redoubt can be seen (with shell bursts in front). The British trenches are marked by the white lines running across the picture, showing where the chalk soil has been disturbed.